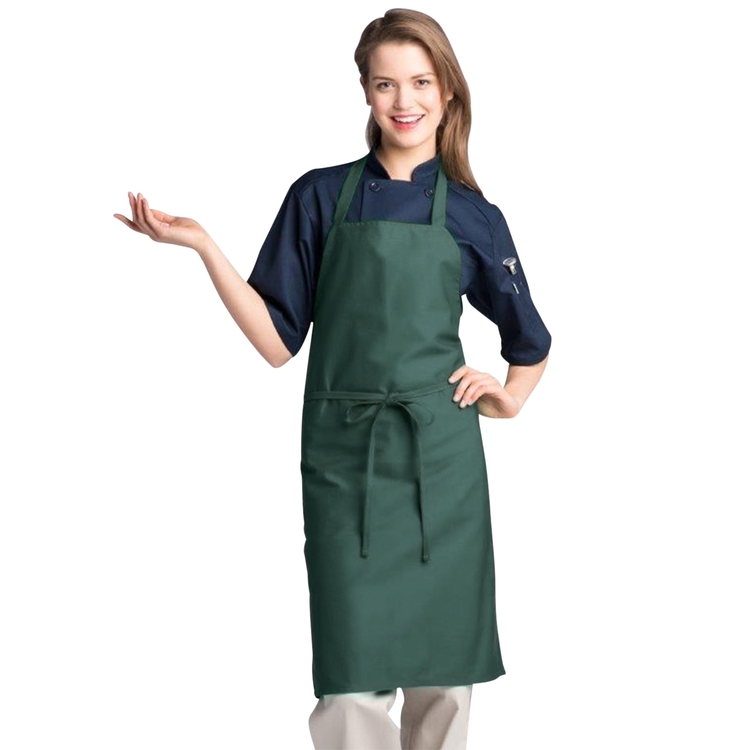 Standard long bib apron made of a 65/35 polyester/cotton twill. Extra long waist ties. Embroidery and screen printing available - 8" x 8" imprint area. In stock and ready to ship. 12 piece minimum. Quantity discounts available. Individually poly bagged.